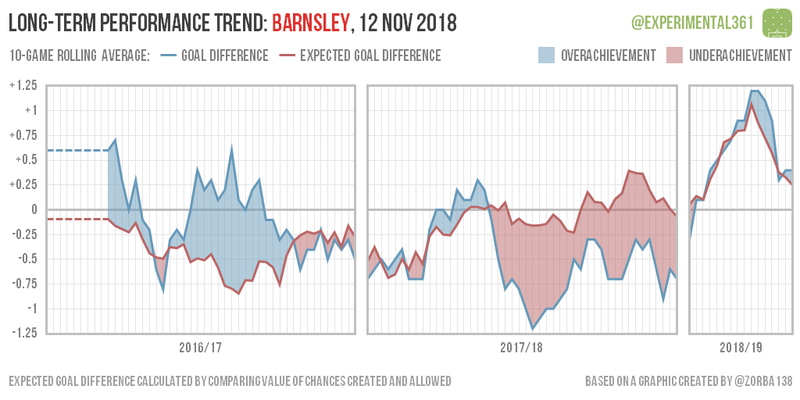 Barnsley look to be coming down from their early season high in a pretty sharp fashion, so hopefully for Tykes fans they’ll pull out of that dive soon. 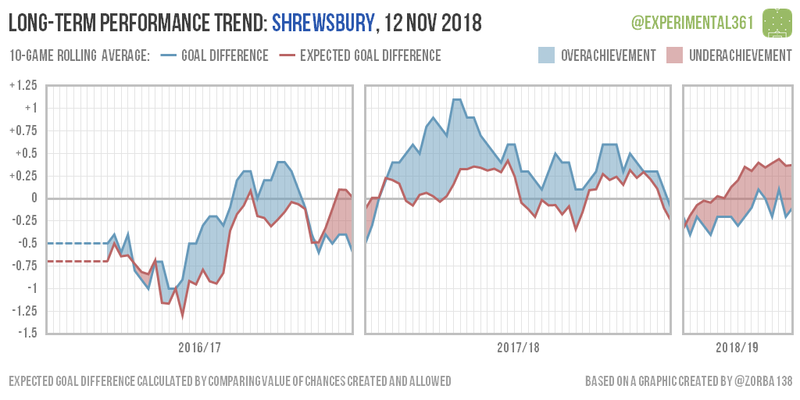 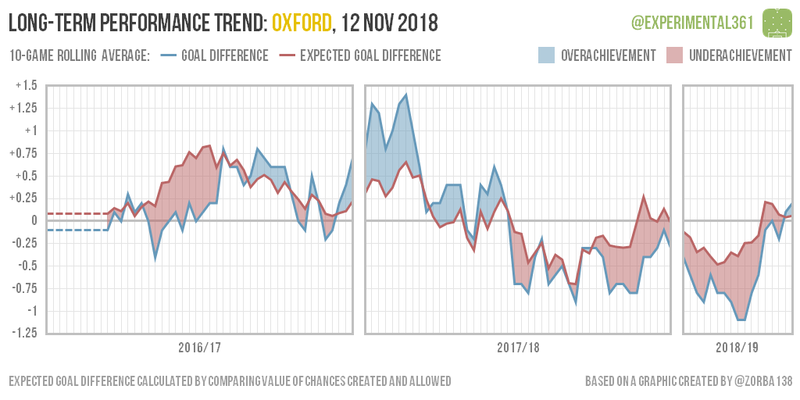 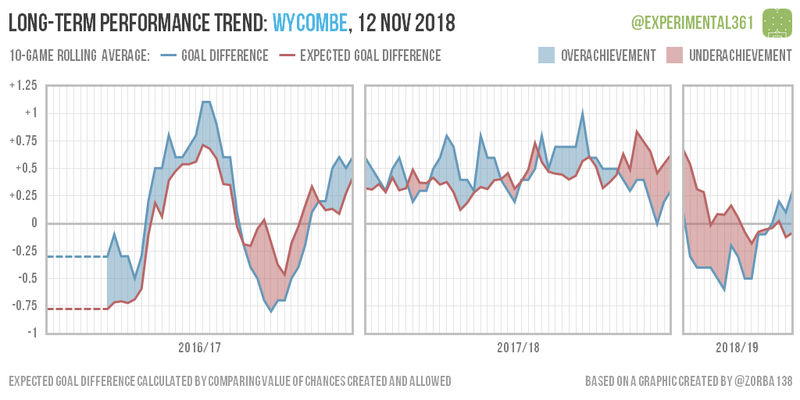 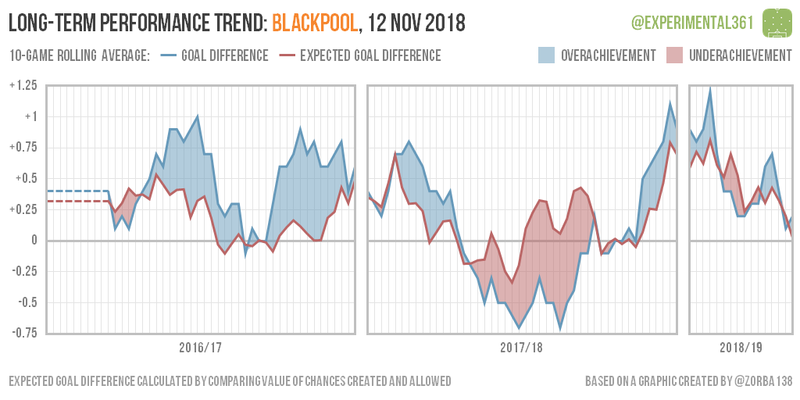 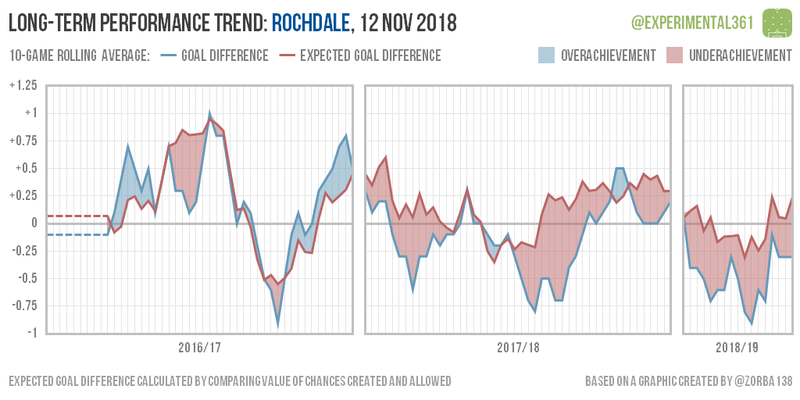 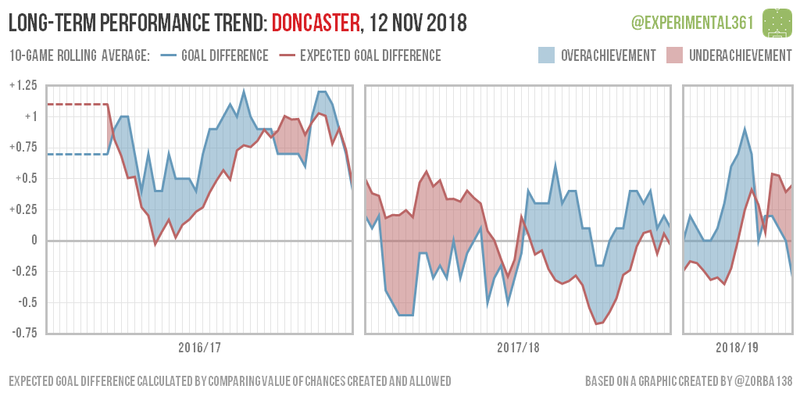 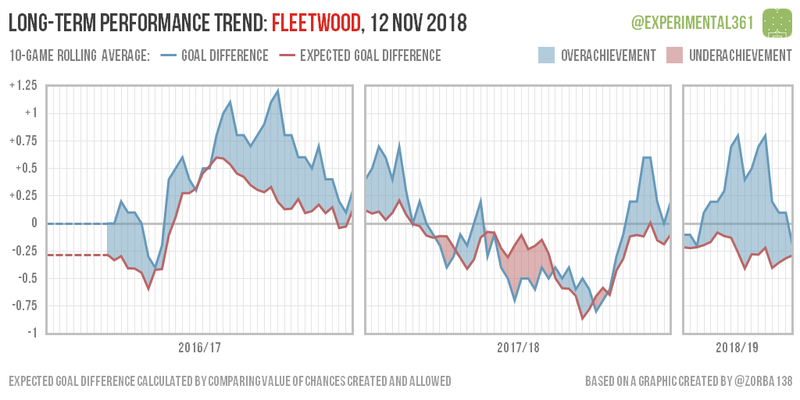 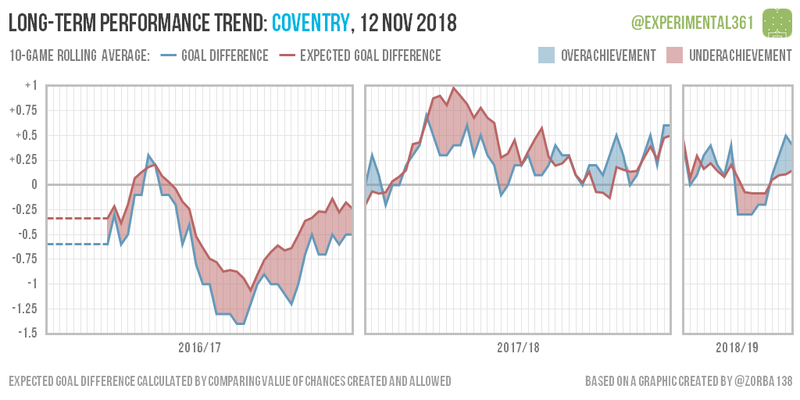 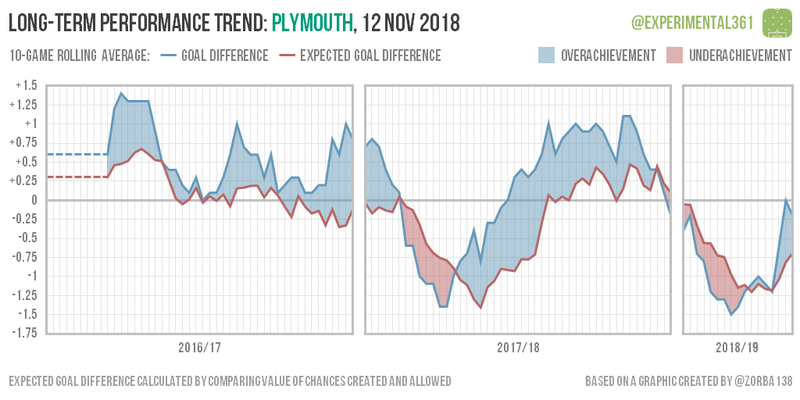 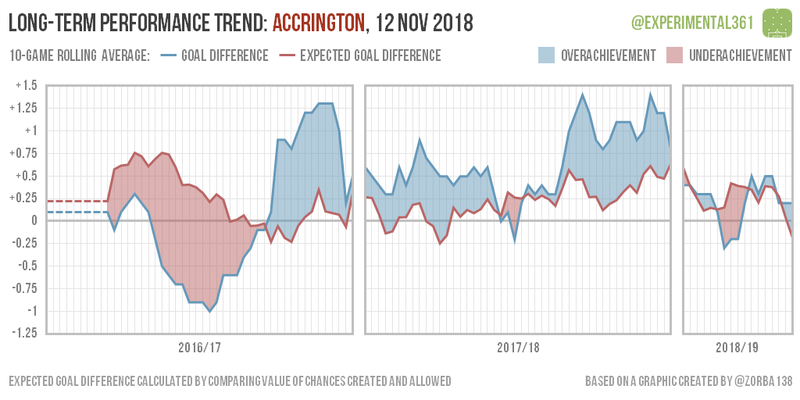 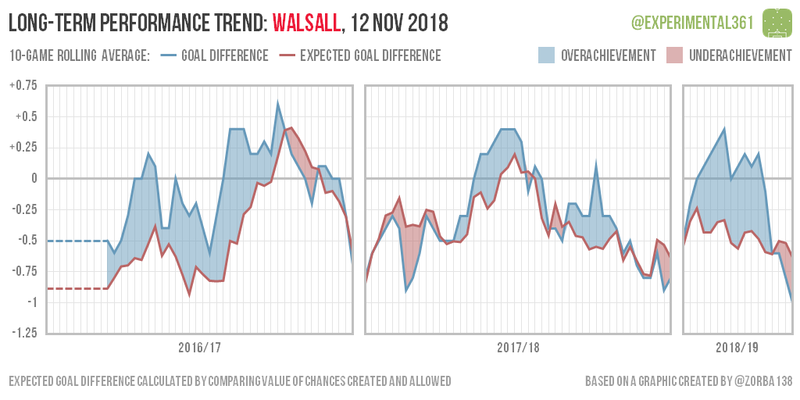 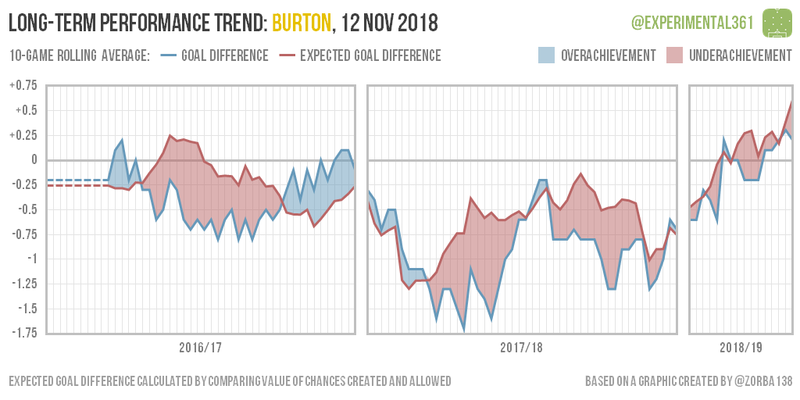 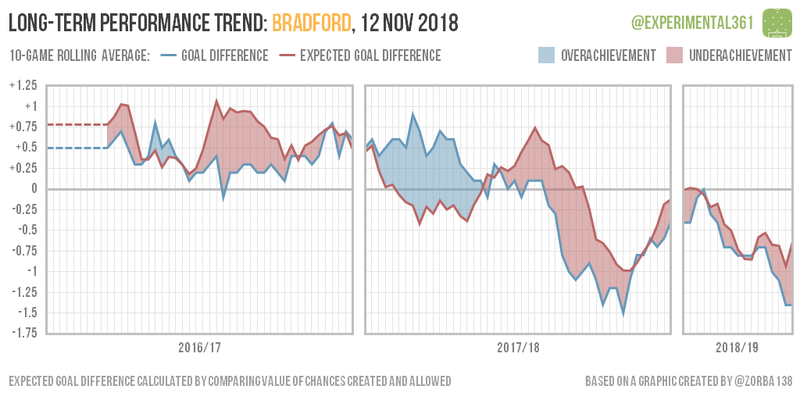 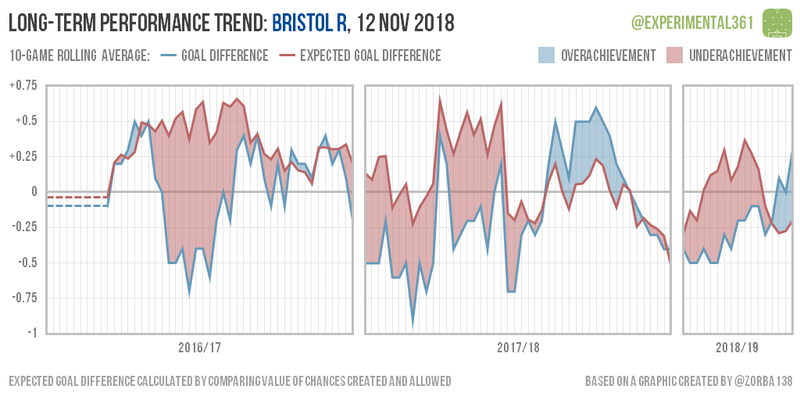 Bradford’s decline has been a lot more drawn out, with neither actual nor expected goal difference having been above zero since last Spring. 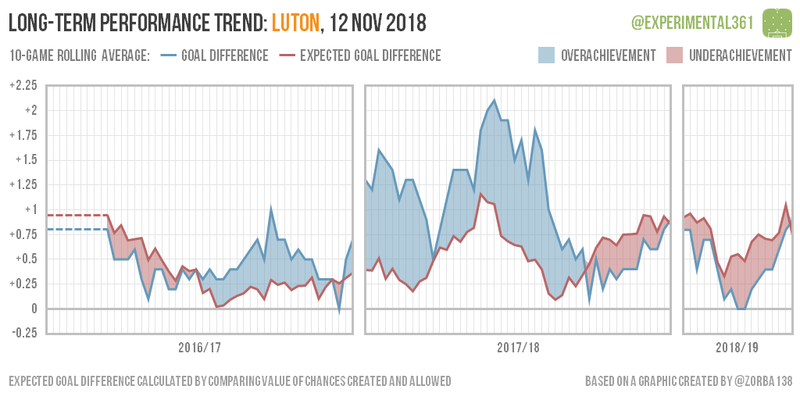 Luton meanwhile have barely broken their stride since securing promotion and negative goal difference has become something of an alien concept at Kenilworth Road. 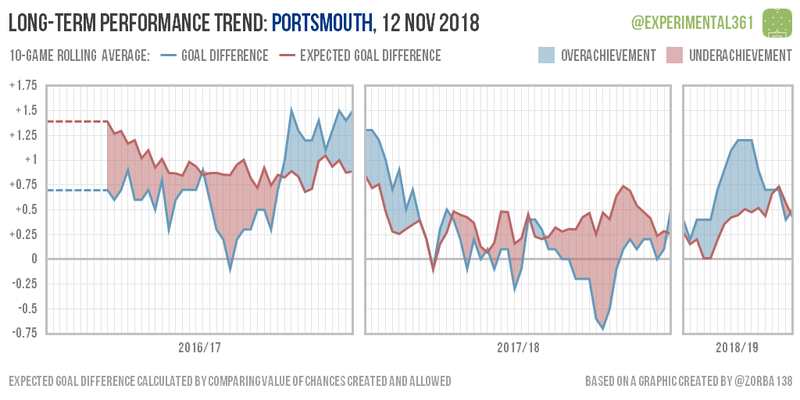 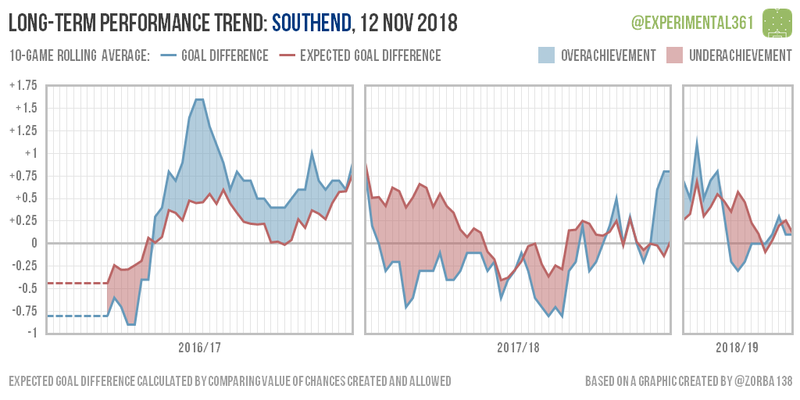 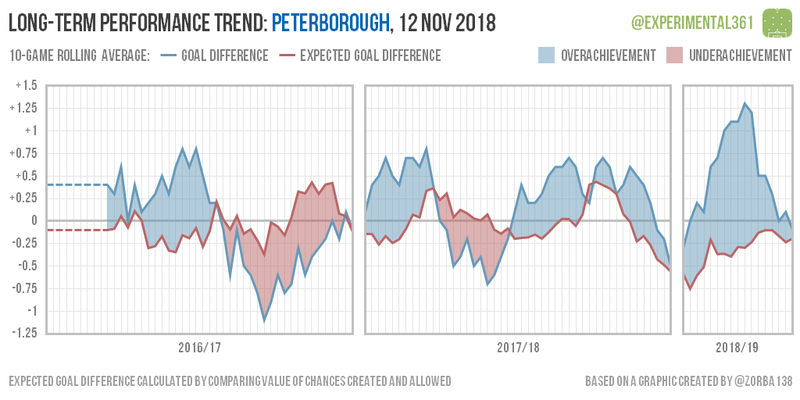 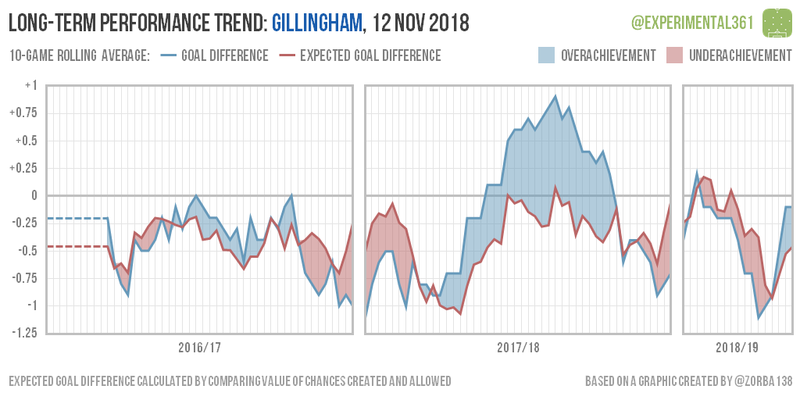 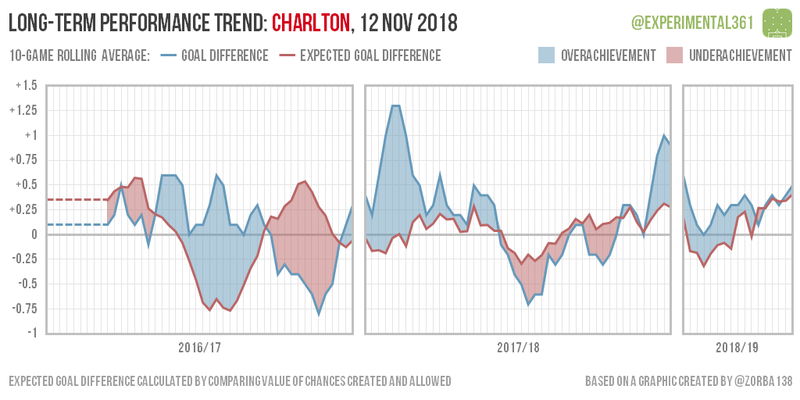 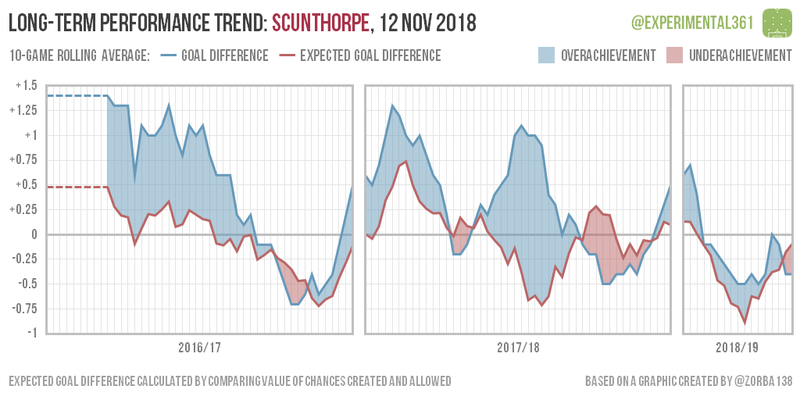 Peterborough have been running incredibly hot so far and it’s not clear if their bubble is bursting or if they’re doing something unusual that the data can’t measure. 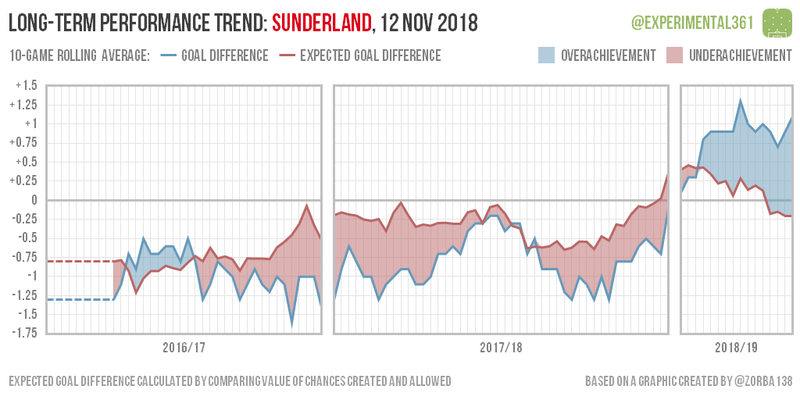 Sunderland are also a bit of an enigma: results have been impressive but performances (at least as well as I can measure them) much less so. 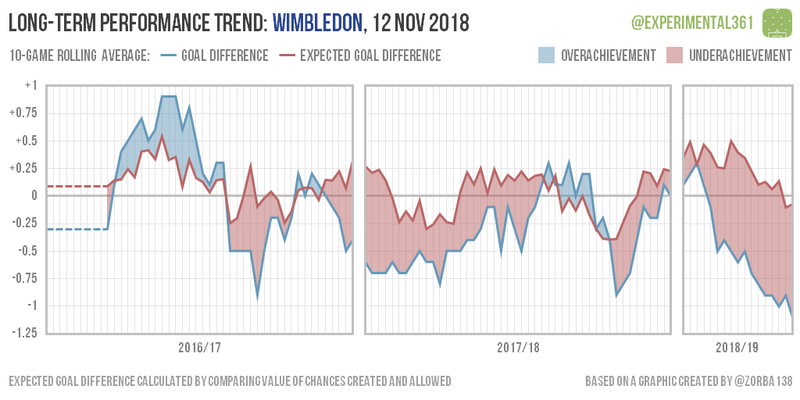 The sheer amount of red-tinted underachievement on the Wimbledon graphic makes me feel simultaneously sorry for Neal Ardley and also wondering if there was something systemic going on there.